Introduced in 2010, the Competitive Rat Lab is our special training ground for future superstars of Rat City Roller Derby! It has produced exciting skaters and the next fan favorite may be right around the corner. After each of our assessments, we select a number of skaters and welcome them to become members of the Competitive Rat Lab. 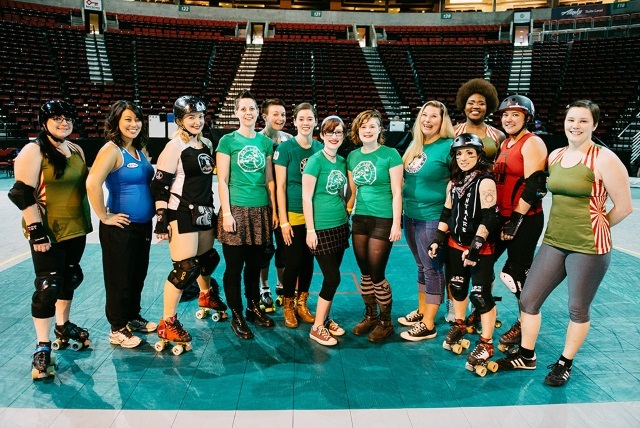 Skaters in CRL are introduced to our training regimen, attend multiple practices a week run by our league skaters, and continually improve their skating and roller derby skills. It’s not easy – but there’s nothing easy when you’re out to become great at such a fast and furious sport! With hard work and determination, a CRL skater may earn the opportunity to be selected by one of our four home teams during drafts through the year. Their journey with the Competitive Rat Lab may end at that point, but their derby experience is just really beginning!